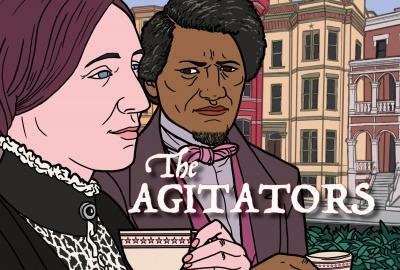 The tempestuous, yet enduring friendship of Susan B. Anthony and Frederick Douglass. Great allies? Yes. And at times, great adversaries. Young abolitionists when they met in Rochester in the 1840s, they were full of hopes, dreams and a common purpose. As they grew to become the cultural icons we know today, their movements collided and their friendship was severely tested. This is the story of that 45-year friendship - from its beginning in Rochester, through a Civil War and to the highest halls of government. They agitated the nation, they agitated each other and, in doing so, they helped shape the Constitution and the course of American history.